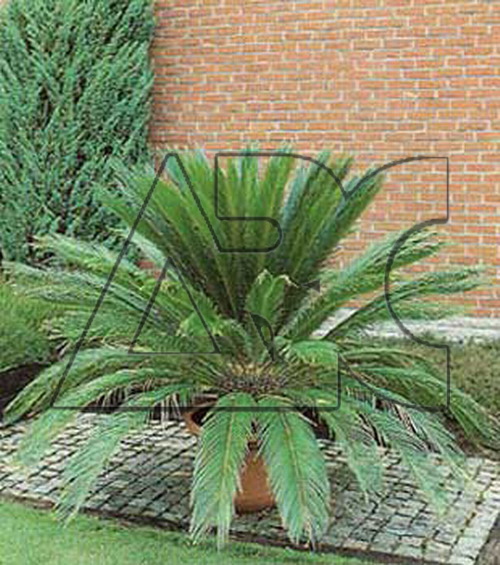 Robust-stemmed cycad, erect at first but gradually reclining with age, and suckering and branching when mature. Arching leaves, 0.75-1.5m long, are pinnate, with up to 125 sickle-shaped, glossy, dark green leaflets. Ovoid, woolly, golden brown inflorescence are produced on mature plants but seldom on those grown in containers. The male inflorescence, 40cm long, are pineapple-scented; females, 20cm long, produce ovoid yellow fruit, 3-4cm long.